Thought to have been first created by Syrian craftsmen in the 1st century BCE, the ancient technique of glass blowing was once a carefully guarded secret. Glass blowing in the 21st century is a decidedly more democratic art form. This week we bring you five blown glass works that create a light, sculptural touch to any design. 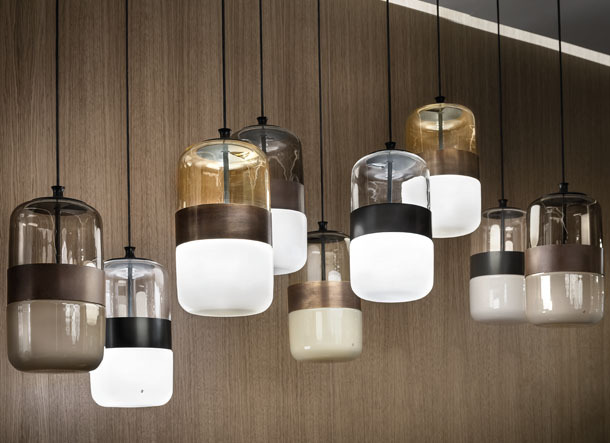 Transparency and opacity coexist in this lighting collection by Hangar Design Group. Blown in once piece, Futura is uniquely handcrafted by glass masters to create color polarity. 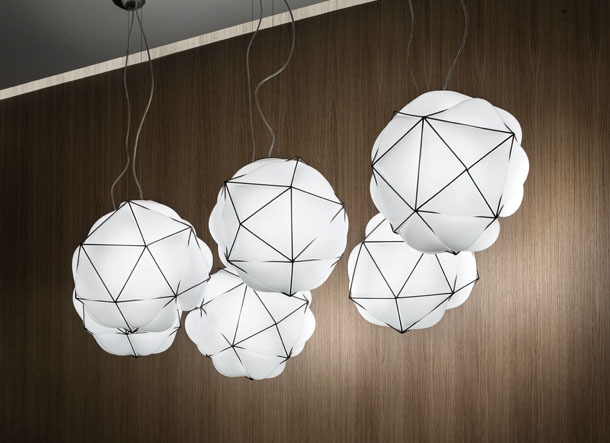 Transparent in its upper form and opaque in its base, Futura emits a soft ambient light. Murano glass. Available in three colors and metal ring finishes. 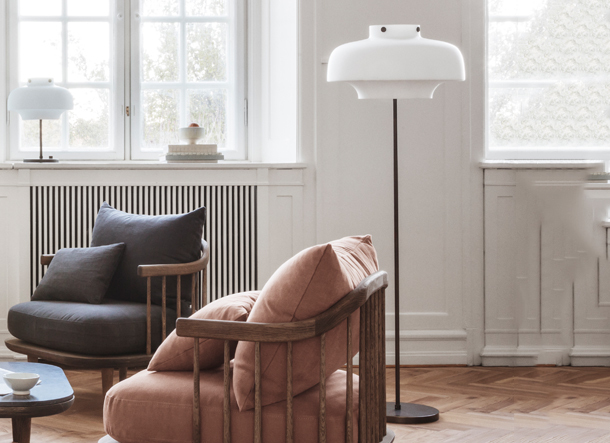 With its over-scaled, mouth blown, opal glass shade, the Copenhagen Floor lamp emits a soft ambient light. Based on Nobel Prize findings about our inner clocks and the effects of light on our circadian rhythms, its customized LED module technology allows you to adjust the light from cool to warm—in line with the phases of the day. Base in bronzed brass. Semai is a sculptural design characterized by its one of a kind nature. 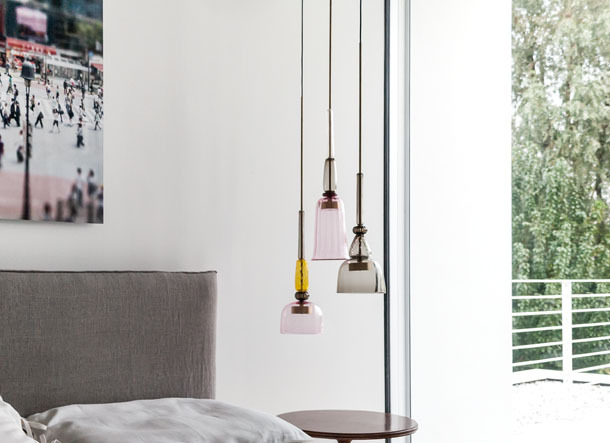 Designed as a reinterpretation of the antique Venetian lantern, Semai is freely hand blown, making each piece unique. 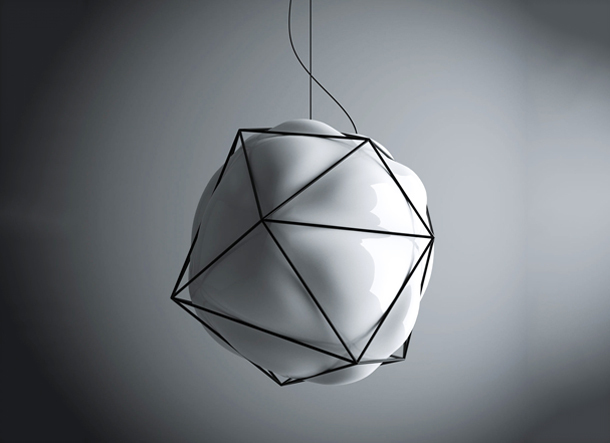 Enclosed in a dark inox steel cage, this piece is a study in contrast of linear geometry and organic form. Glass in opaque glossy white. A combination of tradition and technology by Anglo-Italian designers, Giopato & Coombes. Mouth blown in colored Murano glass, Flauti references the glowing colors of a Venetian sunset. Hand made with a focus on spontaneity, each module is different from the next. Hardware in brushed brass, brushed bronze, or blackened brass. Designed by Luciano Vistosi in 1978, the delicate process of crafting the Munega light requires the work of a master craftsman and at least two assistants. Featuring hand made markings, every Munega will be inimitable, creating a sculptural aesthetic. 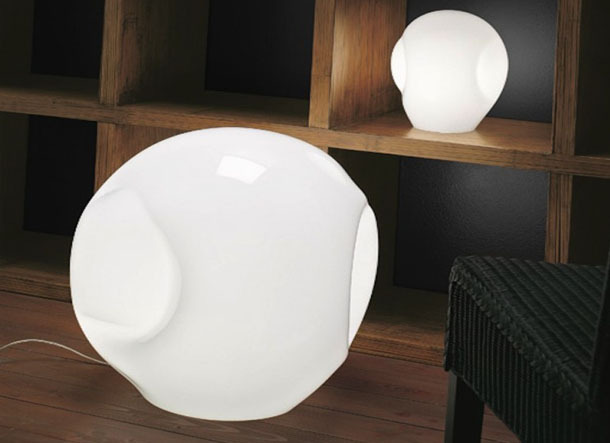 Mouth blown in white crystal glass and available in two different sizes.